John McDowell will be coming to MSU to give the Monday seminar on March 14, 2016. 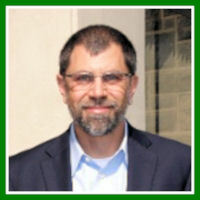 John is a professor in the Department of Plant Pathology, Physiology, and Weed Science at Virginia Tech. My group investigates the molecular interplay and co-evolution between pathogens effector proteins, their targets inside plant cells, and the plant immune surveillance system. Most of our effort is focused on the interaction between the model plant Arabidopsis thaliana and the oomycete pathogen Hyaloperonospora arabidopsidis (downy mildew disease). To read more about John’s research click here. In addition to attending the seminar, you can also sign up to have lunch with John by emailing Val in the PRL office.